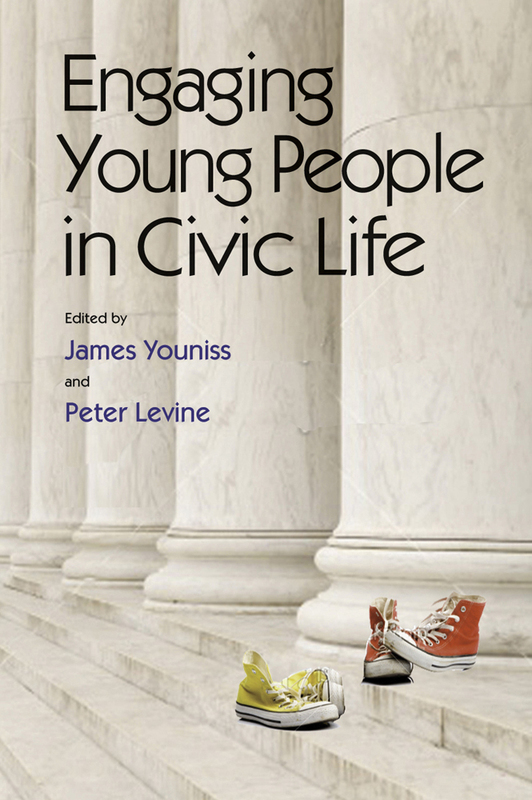 Vanderbilt University Press has published Engaging Young People in Civic Life, edited by James Youniss and by Peter Levine, with a forward by former United States Representative Lee Hamilton. This book originated in a meeting organized by CIRCLE and funded by Carnegie Corporation of New York. Many of the chapters are informed by CIRCLE-funded research projects. This is CIRCLE’s press release. This entry was posted on Monday, July 6th, 2009 at 8:34 am	and is filed under Concepts of Citizenship. You can follow any responses to this entry through the RSS 2.0 feed. Both comments and pings are currently closed. Thanks, interesting article, will continue? Do you have a link to where i could buy this book? thanks! Thanks for the book reference. I might have to pick it up; I assume you can buy it from the Vanderbilt University bookstore. I am very interested in the influence young voters have over how our government is shaped. Also, I would like to gain an insight as to what motivates young voters to actually go out and cast the ballot. Great recommendation. Our kids need more opportunities to get involved in politics and community service. This book will help the public understand its importance. This important book tackles head-on one of the major concerns of our day, that too many young people, especially those who don’t attend college, are ill informed about and disengaged from politics. In this book you can find some helpful tip that can be used daily. It open our eyes to presently happening and how to deal with them. Today everyone knows about the importance of civic life for youth,so it should be tried from now so that youth will participate in a social issues in future. It clearly discusses the importance and ways to engage young people in the reality of life. Many actually disregard the fact that our youth is very important to improve our lives. If we only give opportunity to our Youth today, they can really help us in changing our situation now. Because they really know what they want to achieve in their lives. They are more focus on their goal before anything else. In this way, our youth can change their life practically, situations and problems can be handled easily. We should consider it a big challenge ahead to achieve. I might have to pick it up; I assume you can buy it from the Vanderbilt University bookstore. I did read this book and it was very interesting. I liked the second part the most. Engaging young people in civic life is a giant leap in the journey towards the future. They are the future guardian of a nation. If the sense of service for the community and nation can be created in the young minds, they will become responsible citizens and will take vital role in shaping the fate of the nation. I have read this fantastic book. However, it is not an easy book to read. I have to pick up again. Through this preparation, you can empower your mind and body to begin healing prior to the procedure, in other words, to begin PreEmptive Healing. The facility given here is with the number series and it will act as the information regarding the new number people need in their house with national profile. Sprouted from the traditional wisdom of Tao and through the Qigong Master Mantak Chia teachings, it travels into the waiting lives of those who seek healthy lifestyles. Don’t waste time and money using store-bought carpet cleaners. Make this easy and effective all-purpose carpet cleaner with items you have in your home. I like this informative post. It is vital for all democracies to teach youths about civic life, not only in America. They are our future, however scary this may be..
We should teach and protect our future. Give more care to them. I have already started reading some of your articles. I found great articles here. And I will get back here. Thanks. Thank you for this analysis. I’m student of sociological department. I need such surveys for my diploma. I think I can take this subject for the basis. Keep up your work. Well, Hamilton was right. You can’t really have a future for American Democracy, if upcoming voters and politicians don’t understand political issues. I did read this blog and it was very interesting. I liked the second part the most. That Post is Full of informative. Thanks for that kind of sharing. Hope u will share again with us. Well, Hamilton was right. You can’t really have a future for American Democracy, if upcoming voters and politicians don’t understand political issues. Very useful post. Great information and presentation. The leaders of today build the future of tomorrow. Of course I am going to use this! I assume you can buy it from the Vanderbilt University bookstore. I am very interested in the influence young voters have over how our government is shaped. Thank you for highlighting this, keep up your good work. Thanks for the reference book. I’ll have to pick, I guess you can buy at the bookstore at the University of Vanderbilt. I am very interested in influencing young voters have on how our government has the form. Also, I would like to gain an insight as to what motivates young voters to actually go out and cast a ballot. Great recommendation. Our children need more opportunities to get involved in politics and community service. This book will help the public understand its importance.